That said, here are a few things you might find useful when filing your taxes this year if you’ve set up your music business. If you’ve hired somebody multiple times AND you’ve paid them $600 or more in this tax year, then you’re required to provide them with a 1099-MISC. This can easily be created online. We created ours using TurboTax. If you’ve hired somebody only once, you could deduct that in professional services instead, even if it is over $600. Production Services (production, mixing, mastering) if hired on a per-project basis. If they’re hired on a full-time or contractor basis, then report them appropriately. Membership fees to join professional organizations such as a musician union, a songwriter association, or websites like Taxi and BroadJam that offer members only access to opportunities. Distribution service fees such as TuneCore, CD Baby to make your music available on various digital platforms. Fees paid to talent agents and business/personal managers who are not paid as employees. There are two ways to claim these expenses: actual expenses and standard deduction. If you use a software like TurboTax, they usually guide you to figure out the best way to go for your situation. You want to have receipts for anything $75 and over. You have to be able to show the business purpose of an expense if requested. Cloud services/software such as LANDR, Dropbox, etc also fall under miscellaneous. Banking/credit card/financial service fees (including interest) for your business accounts/cards. Basically any cost directly related to promoting your business. Cost of applying for your business license. DBA/Fictitious business name one-time filing fee. Fees paid to the state board. Property taxes (NOT for home office). Fees to acquire, draft, or cancel a lease. Cover song licenses that you might have paid via Loudr, EasySongLicensing, CDBaby, WeAreTheHits or others. Image/Video footage licenses (purchases on sites like pixabay, shutterstock). * We did not hire anybody as an employee or intern, so we don’t know much about the deductions for that. Feel free to comment below if you know more. So if you use that office room for business 100% of the time, you can deduct $200. If you use the room for business 50% of the time, then you can deduct 50% of $200, which would be $100. Equipment purchases of over $200 can be deducted as assets. Some examples include your computer, guitar, keyboard, studio monitors, etc. Equipment purchases of $200 or more can be declared as asset purchases. These assets can be depreciated over time (5–7 years). If you use TurboTax, it will automatically set the correct lifespan for it. Let’s say you buy a piano for $5000. Suppose you can depreciate it over 5 years. Each year you’re entitled to claim an equal amount of depreciation. Section 179 allows you to take the full amount of depreciation in that first year (year when the asset was purchased/put into use) instead of depreciating it over a number of years. However, it requires that you have income of the same amount or more, meaning you can’t use it if you’re running at a loss. This is a good option if you have a high enough income the year you buy the piano. Didn’t make enough money for Section 179 to be an option? Bonus depreciation allows you to take 50% of the cost as depreciation in the first year. So that means you’re left with $2500 to depreciate the “regular” way, over 5 years. That remaining $2500 is your “basis for depreciation”. You can take the first year depreciation on the basis on top of the $2500 Bonus depreciation. Good to know: Bonus depreciation can be taken as a loss, meaning you can take it regardless of how much money you’ve made this year. Bonus depreciation is not available every year, and tax laws change all the time. Be sure to stay updated. We use TurboTax, which updates according to tax laws every year. If you have CDs or other merchandise for sale, you are required to declare them on your taxes the year you acquired them. I’m not sure about the grey areas such as if you paid for them in a different year than you received them. I’m not a CPA :) Do your homework. You are required to maintain inventory (ie you’ll need to report how much you had at the start and end of the year). 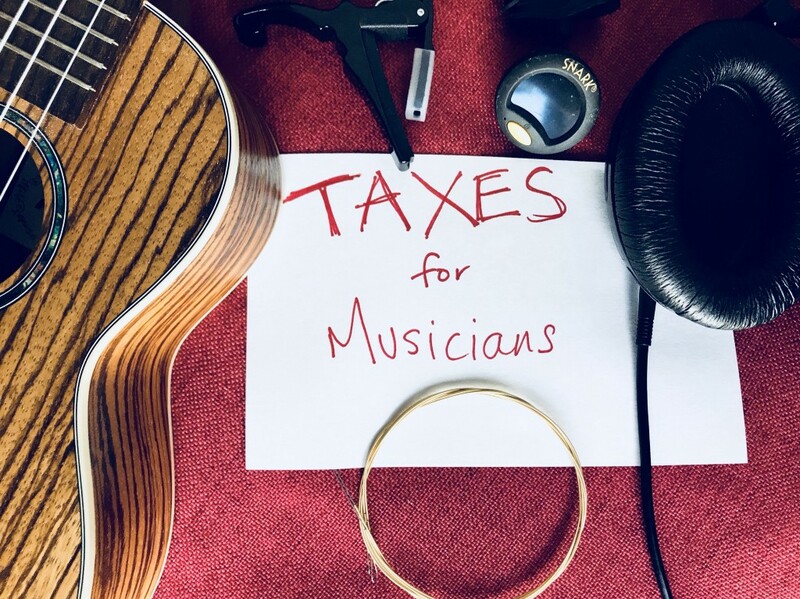 Taxes for musicians was originally published in SmartMusicianGuide on Medium, where people are continuing the conversation by highlighting and responding to this story.